Triathlon coaching, swim, bike, and run technique analysis, 5k to marathon running plans, athletic performance, strength and conditioning, injury prevention/rehabilitation, positive healthy lifestyle changes, Max Heart Rate testing and HR training, breathe training, bodyfat testing, Personal Training, Group Training, and competitive TEAM! Some are blessed with the genetics to be Elite. Most of us are not. Regardless of what we were born with, education-based training and passion lead to the highest personal success. 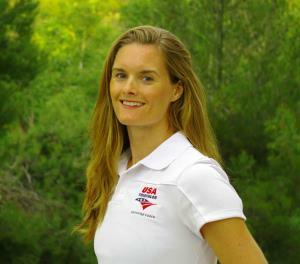 Holly is a competitive triathlete and coach, certified through USA Triathlon. With a Master's Degree in Sports Medicine from the University of Oregon, 4 years of Division 1 and National level competition in track, plus national competition in triathlon, and experience as an NATA certified athletic trainer, she is guaranteed to keep athletes in optimal condition. Holly is also an NSCA Certified Strength and Conditioning Specialist, ready to focus on your goals. Success. Coach Holly Stroschine has been notified of your message.